Søren Bro Pold is PhD and Associate Professor of digital aesthetics. He has published on digital and media aesthetics – from the 19th-century panorama to the interface in its various forms, e.g. on electronic literature, net art, software art, creative software, urban interfaces and digital culture. He took part in establishing the Digital Aesthetics Research Centre in 2002, in 2004 he co-organised the Read_me festival on software art, and he was in charge of the research project "The Aesthetics of Interface Culture" from 2004 to 2007. Later he was research manager in the Center for Digital Urban Living (2008-2012). Currently he is leader of the research programme “Humans and Information Technology”, part of the interdisciplinary research centre Participatory Information Technology, the research project Literature Between Media and Translating Electronic Literature: A Transatlantic Program in Collaborative Digital Humanities. In relation to these research fields and groups, he has been active in establishing interface criticism as a research perspective, which discusses the role and the development of the interface for art, aesthetics, culture and IT. 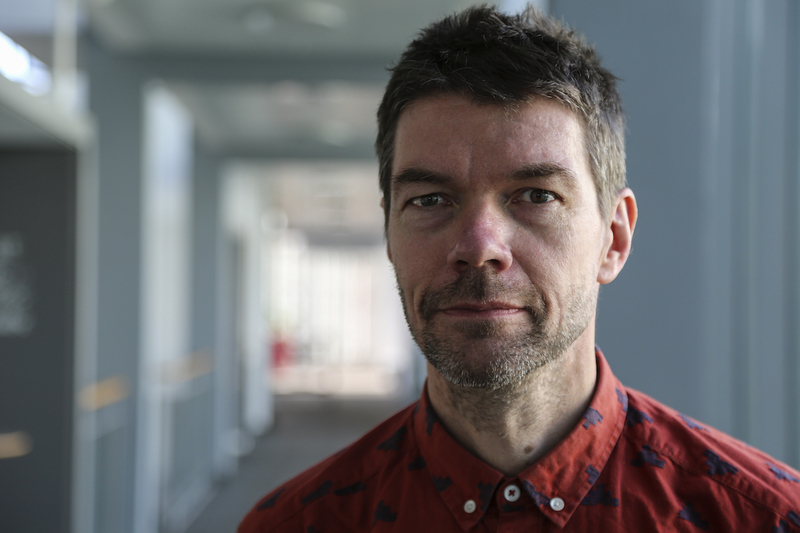 Søren Pold’s interests cover digital aesthetics broadly, including electronic literature, net art, software art, urban art and activism, and he has participated in founding several of these fields since the mid-1990s. Simultaneously, he is interested in establishing digital aesthetics as a perspective in other IT research fields such as design, HCI, informatics and Internet research. Besides his research interests, he has taken part in university administration and -politics, e.g. as a member of study boards, research committees, academic council (2004-12) and member of the board of Aarhus University representing the scientific staff (2015-).